You take good pictures yourselves and would like to sell them? You would like to be listed here, too? Please contact us with our contact form! Maike Thorun - that's me. I am th owner of buy-a-picture.de. For me everything began when we planned to offer the pictures of my life partner - Roberto Robaldo. This way in the beginning I just offered Roberto's pictures for sale on a booth at the shows. 2009 I began to take horse pictures myself. In the same year we opened our first webshop at buy-a-picture.de, where soon also many photographers came together, whom we would like to introduce to you herewith. Roberto already took pictures as teenager. 2005 he took his first pictures of horses. In the beginning he did that just out of boredome when Maike took her riding lessons. But soon ambition was aroused and he soon became a popular photographer especially among western riders. In August 2007 he purchased the 2003 born Noriker gelding Purzel (Zukunft Schaunitz XVI). Both became an excellent team and go through "thick and thin" together - even when beside the photography he has just limited time left for Purzel. Petra Kleinwegen belongs to the team since mid of 2009. She is aktually taking pictures "since forever", but for a very long time just as hobby. Only since her first digital camera in 2003 she began to intensify her hobby and by now is every now and then part-time on horse shows - most of them western horse shows - and also began in the past years to take pictures for editorial use and on shootings. If possible she prefers to take impressions than just show pictures. 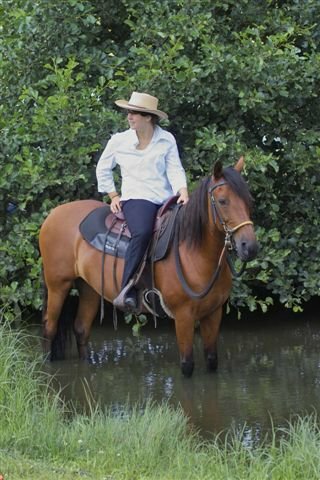 She is riding western style and even did cutting sports temporarily. Currently she is just hacking out her Quarter Horse mare. Her logo - the beagle - arose from the fact that you can meet her often with a beagle. Beagle Mike was in their own words the most insistent impression of the american judges which they took home from the Quarter Horse European Championships 2005. 2011 she got the first horse of her own - haflinger mare Biene. 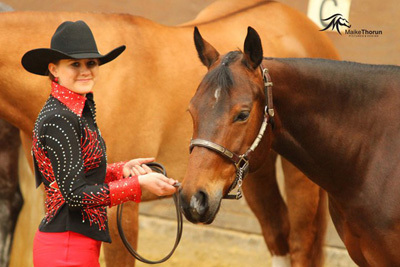 In 2005 she got Quarter Horse mare Fly Chic Olena and began her show carrier with her. Currently she is also showing her second Quarter Horse mare Elaine Dressed by Me. 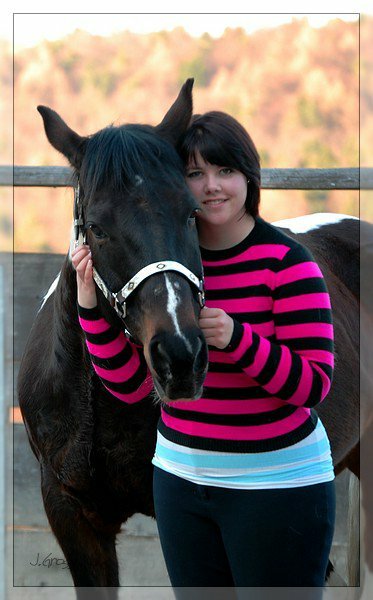 She is supported and trained with her horses by Sandra Schaub Horse Training. Since 2011 Franzi supports our team also from behind a camera. Konstantin Stahl is taking picture since early childhood. As a nine year old be began to love taking pictures of horses on the pasture behind his parents house. A new hobby began. 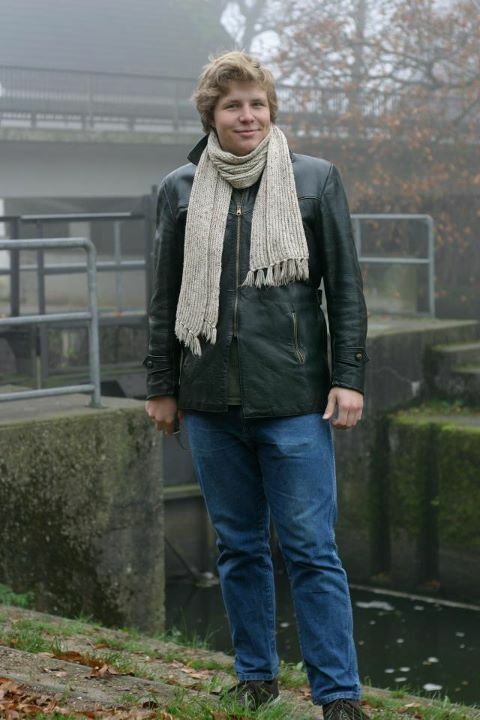 After several house movings he is now living in the Lower Rhine region and is the regular photographer at „STEELDUST – Rheinisches Zentrum für Westernreiten“. Usually he is taking picutres of most shows taking place there. 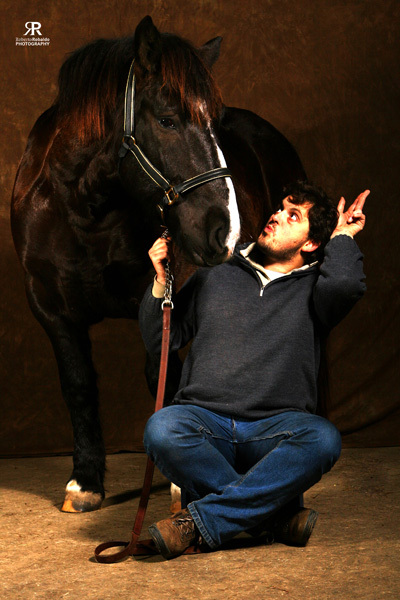 Even when Konstantin in his childhood had not been an untalented rider himself he now prefers to take pictures of horses and equitation, but also of other animals, people and nature. Karolina Rusak is born in Gdansk. Since her childhood she is interested in equitation. In the beginning just a small hobby, but meanwhile her great passion. For this reason next to her house she is currently building her own barn with several horses. With them she is representing the „Western Riding Club”. She is showing them on horse shows and is specialized on Western Pleasure and Western Riding. Together with equitation she developed a passion for photography. Her first attempts in photography she already took as small child with an analogue camera. Meanwhile she has professsionalized in this section and is cooperating with well-known journals like „Świat Koni”, „Koń Polski”, „Koński Targ” and the animal feed distributor for horses „Equifirst – Obiegły”. Animals are for me like the real love: You cannot do without. 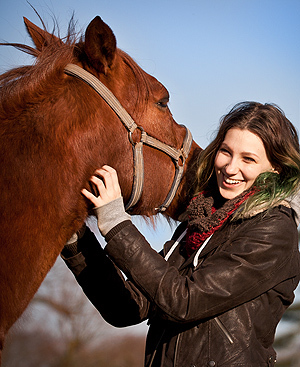 Carina tries to combine her love for animals and for photography since she is 16. A process she is continuously improving with increasing professional equipment and with several workshops. As she - like almost any little girl - is doing horseback riding she does have a deep passion for horses. Several breeds and riding styles are fascinating her again and again. And she owns the dream of every girl: Her own American Quarter Horse. Since more than 2 years she accompanies local equestrian facilities and studs at breeding shows as well as horse shows. Some of her horse show pictures are offered for sale at buy-a-picture.de. Andreas Krappweis and his wife are creating extraordinary gardens - his company Andreas Krappweis Private Gardens for sure has also influenced his kind of photography. He is taking stunning pictures of landscapes and nature. He also has already published a book with these pictures. And of course horses. As owner of Quarter Horses he also is taking pictures of horses with great attention to detail and is skillfully presenting them. NM-Tierfotografie (means NM animal photography) is Nadine Messerschmitt. She is happily owning a Paso Fino gelding. Several years ago - still thrilled by the magic of analogue photography - she began also to take digital pictures. Soon she realized that photography is her future and she began to study design. Her focus in this design studies is photography, video and animation, as well as verbal communication. Besides product, people, fashion, lifestyle, coverage and travel photography, she again and again is attracted by her passion - horses. She is taking pictures with passion at western, dressage, jumping and gaited horse shows. Since childhood horses had been her passion. Grond up on a horse ranch it soon became obvious that she does not only want to spend her spare time with them. After studying she is now in training for a horse expert western. Since beeing a youth the participated on horse shows and since then is part of shows, not just as participant, but meanwhile also as co-coordinator. Also horses she meanwhilse has not just under the saddle but also in front of her lense. Capturing the moments - It is a challenge born from a passion. To bevome one with the camera and forgetting the world around. Sabrina's let her pictures speak to the viewers and gives them the opportunity to see the world from her point of view. A short description as well as a picture will follow shortly.